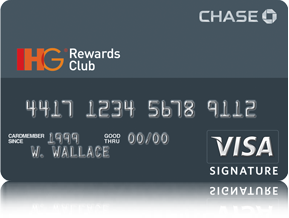 Update 3/18/2014: Chase no longer offers the IHG Rewards Club Visa, instead now they offer the IHG Rewards Club Select MasterCard. Please review the current offer details before applying, terms and conditions may have changed since publishing this article. You can support Well Traveled Mile by applying for Credit Cards Here or shopping through our Amazon affiliate link. Thank you for the support! Currently two of my favorite credit cards are the Barclays Arrival World MasterCard and the Chase IHG Rewards Club Visa. 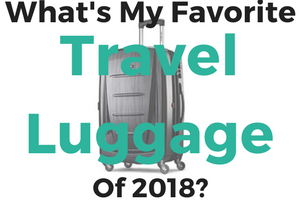 The Arrival card is my favorite all-around travel rewards credit card worth $440 in free travel and the IHG card is one of my all-time-favorite hotel credit cards. The IHG Rewards Club visa currently offers a 80,000 point sign-up bonus after spending $1,000 in 3 months and along with the perks that come with the card it’s an amazing deal. This card has one of the BEST sign-up bonuses among all hotel credit cards and unlike many other cards the annual fee is easily worth paying after the first year. The $49 annual fee on the IHG Rewards Club Visa is close to half of other cards and it gets you a free night certificate every year that can be used at ANY IHG hotel! This means you get a free night at a hotel that costs ~$900 a night just by keeping the card open and paying the $49 annual fee. Plus you get additional perks with the card. I’ll never cancel my card because of these benefits. It surprises me how little this card is ever mentioned on points and miles blogs. The reason it gets little coverage is that it is not an affiliate link. 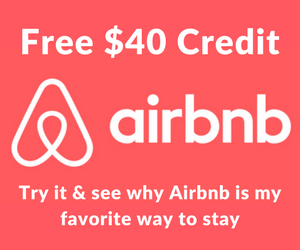 The 1 free night after the first year of having the card is easily worth much more than the $49 annual fee. Plus the card has some great perks, such as automatic Platinum elite status which gives you room upgrades upon availability and free internet. Being able to use the free night certificate at any IHG hotel that can cost up to $900 makes keeping the card open completely worth it. You can use your free night certificate plus redeem points for an additional night to book a whole weekend or two night stay. You could also have a partner sign-up for the card as well and get 2 free nights after the first year. Plus keeping the card gives you automatic top-tier Platinum status with IHG which gives you free internet, 50% points on paid stays and room upgrades. It’s worth mentioning that you also get a 10% rebate on IHG Rewards Club points redeemed during the year. This means that from redeeming 80,000 points you will get 8,000 points back as a rebate. The card also has no foreign transaction fees, so you can use the card on any of your international travels and not pay any fees. One factor I like about keeping this card year-after-year is that it extends my average credit account length and also strengthens my relationship with Chase. The current sign-up bonus for the IHG Rewards Club Visa gives you 80,000 IHG points after spending $1,000 within the first 3 months. I consider the 80,000 point bonus to be worth $560 in free hotel stays since you can buy IHG points for 0.7 cents each using the Cash & Points loophole. Even though you can ‘buy’ 80,000 points at 0.7 cents per point for $560 using the Cash & Points trick, you can easily get ~$2,000 worth of free IHG hotel stays from the bonus. The standard public offer is for 60,000 points, and this is what you will see if you go directly to Chase’s credit card page. But, you can find the 80,000 point offer in this Flyer Talk post. Free nights at IHG hotels range from 10,000 points up to 50,000. You can get a night at top tier IHG hotels from 30,000 to 50,000 points, so the bonus can get you 1 to 2 free nights at InterContinental hotels. Lower tier hotels such as Holiday Inn and Holiday Inn Express start at 10,000 and go up to 25,000 per night.You can’t compare Holiday Inn hotels in the US to some of the international locations, which tend to be of a much higher quality. Some are even full service hotels, and the one I stayed in Istanbul was on par with other Radisson Blu hotels I stayed at on the trip. I used 45,000 points for a 3 night stay at the Holiday Inn Sisli in Istanbul that normally runs $350 per night. On top of that I was upgraded to a suite. This shows how there are some amazing value redemptions across all hotel tiers. One reason I love the IHG Rewards Club Visa is that with the card you get a free night certificate each year after the first year of having the card. Yes, you do have to pay the $49 annual fee, but the free night is worth a lot more! The free night certificate is emailed on the card’s anniversary and valid for 1 year from when it is issued so don’t plan to save it for the following year. You do have to book and stay before the certificate expires in a year. The fact that you can use the free night at ANY IHG Rewards Club property means you can use the night at the most expensive aspirational InterContinental hotels that can cost upwards of ~$800+ per night. This is much more generous than the certificates that Marriott and Hyatt give since you can only redeem their free night in lower category hotels. As far as I know, the Citi Hilton Reserve is the only other card that allows you to use the free night at top tier hotels. The value of the free night certificate alone can justify paying the $49 annual fee. The anniversary bonus along with keeping this card to build a history with Chase are two good reasons to keep this card after the first year. Even if you use the free night at a lower tier hotel that costs ~$300 per night, you are still saving money. You can book a free night with the certificate as long as there is award night availability — you can check on the IHG Rewards Club website or call 877-318-5890 to redeem your free night. I have heard that IHG elite benefits can be hit or miss depending on the hotel, but from my experience, most international hotels treat elite members well. I received a suite upgrade and a welcome bottle of water when I stayed at the Holiday Inn Sisli in Istanbul. One downfall of the IHG Platinum status is that it is not eligible for benefits at InterContinental hotels since they have their own loyalty program. When you redeem your points for an award stay you get a 10% points rebate. For instance, when I redeemed 45,000 points for a 3 night stay at the Holiday Inn I got 4,500 points back. I wouldn’t recommend this card for everyday spending after earning the bonus. There are better cards for everyday spending, such as the Barclays Arrival World MasterCard that will earn you 2.2% back on every dollar spent. You will earn 5x points when you use the card at IHG hotels, so it’s worth earning some extra points on your paid stays at IHG hotels. By sheer numbers, IHG has far more hotels than most other hotel programs. This makes it easier to use your points, and having IHG points can be a great plan to fall back on when you can’t find a Starwood or Hyatt hotel at your destination. The IHG PointBreaks promotion is one of the best deals around for cheap award nights. They publish a list of participating properties where you can redeem award nights for 5,000 points per night, including some InterContinental hotels. If you plan on using your 80,000 points on some PointBreaks hotels, be sure to book soon after the new list is published because reward night availability goes fast. You can get up to 16 free nights if you use all 80,000 points at PointBreaks hotels, and these could even be InterContinental properties. 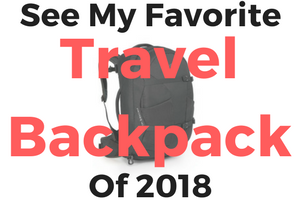 This would we really fun to do if you have a couple weeks to stay in one place and a very cheap luxury vacation. The IHG Rewards Club Visa doesn’t have a foreign transaction fee, so this is a great card to use on international trips. The annual fee is waived the first year, then $49 every year. I’m happy to pay this fee every year to get the free night that I can use at any InterContinental hotel. There aren’t many negative aspects of the IHG Rewards Club Visa. One thing that does come to mind is that the card fills up a spot of the 4-6 personal cards that Chase usually allows at one time. With that said, I would choose the free night bonus over an additional credit pull in order to earn a new card bonus every year. This is also not the BEST card to use for everyday spending. The bonus is great, but after hitting the required minimum spend to earn the 80,000 points, there are better cards out there that can earn you more return than the IHG Rewards Club Visa. The Barclays Arrival World MasterCard or Amex Starwood Preferred Guest cards would be a better choice. As mentioned before, it probably is still worth it to charge paid stays at IHG hotels to the card in order to get 5x points on all paid stays. This is one of the BEST hotel credit cards out there. Between the 80,000 points bonus and a free night certificate after the first year, this is a great card to have (and keep) in your wallet. The IHG card is not an Ultimate Rewards card, so of course the point values are going to be different (and less) if you’re trying to exchange them…if you want that particular rewards program, go for the Sapphire. The 70-80k on this card is for IHG points (again, not for UR) and it seems like a pretty darn good deal, esp when you get the other goodies that come from having this card. Do IHG mastercard offer travel insurance protection ? Thanks for the info. We decided to get smarter with our credit cards and got the 80,000 points IHG card, October 2014. Do you know when the Platinum status kicks in? I read on flyertalk it’s not applied until 8 weeks? I need the status sooner than later since I am trying to go for the diamond challenge. Trying to see if I should apply for the Amex Hiltson Surpass instead. (Can’t/don’t want to do the Hilton Reserve since I want to save those two free nights for something else and don’t want to waste them on a random stay). Thanks! Ang, if I remember correctly my Platinum status posted within a couple weeks of being approved for the card. That said, things could have changed and the reports on Flyertalk may be more accurate and up-to-date, so if they are saying 8 weeks it could be true. Is the 80k bonus points still active? The link posted on slickdeals.net is dead. Thx. Leon, try the link through the Flyer Talk thread. It was live a couple days ago, but it looks like that link for the new MasterCard is also dead as of now. Let’s see if it goes back up in the next few days. Good luck! Can I apply for this and get the 80,000 points bonus if i have their annual fee free IHG rewards credit card. That one only earns 1 point per dollar spent, even at IHG hotels. I don’t mind signing up and paying the annual fee, but want to be able to get the 80,000 bonus points. “Churnable” offer? priorityMember, I don’t see why you wouldn’t be able to get the bonus on the annual fee card. 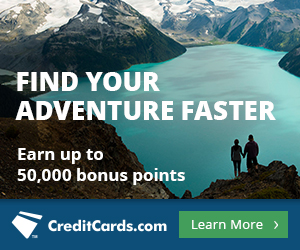 Chase let’s you earn one bonus per unique card product, so if the card has a different name I think you would be in the clear. To play it safe I would give Chase a call and ask. Thanks for the reply Rand. I did give them a call shortly after I posted this question. And you are correct. Because it is a different “product”, I would qualify for the bonus points. This is for the “Select” card (MasterCard now). I called before and after I applied to make sure. Confirmed both times. priorityMember, thanks for confirming that you can qualify for the bonus points and congrats on the 80k points! Great post….interesting to hear why other blogs don’t push this card. you could really price this worth more, i’m finding 10k rooms that would cost just over $100. Glad you found it useful! It’s one of my favorite cards and you can definitely get a ton of value from the 80k. Last year I booked a couple nights at the HI Sisli Istanbul that would have run ~$320 per night for only 15k points. I love this card too. Just got a notice from Chase that they are switching from Visa Signature over to World MasterCard. I just got that email as well, which makes me think it’s time to close this card and apply for the new one to earn the bonus on the MasterCard product.